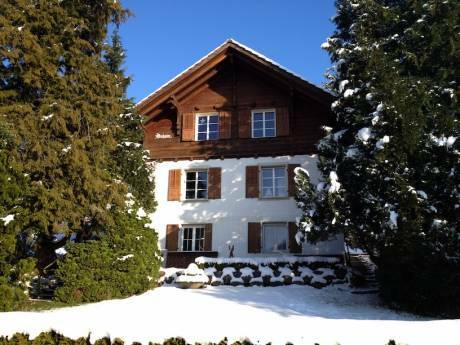 We live in a cosy house (built in 1930) in a suburb of Lucerne. There's a spacious dining-room, a living-room, and the kitchen on the ground floor. On the first floor, you'll find the bathroom, an office, our daughters room, which can sleep up to three people and a spare room. The kitchen is from the 1970-ies, so theres no fancy stuff, but everithing works just fine and its well equiped. There's also a big summer-house in the garden, where you can even sit and dine on rainy days. Of course, you're welcome to use our bikes (two for adults and 3 for kids between 3 and 8 years) and the barbeque. Thereâs a friendly, quiet cat living with us, who would love to be fed, when weâre away. She mostly stays outside and her bowl stays in the cellar, so it would even work out if you donât really love cats. We both like to go to the movies and eat out, we love to get to know other countries and have done quite some travelling. but no home exchange so far. Jakobina is six years old, Ida is 3 years old. We're very reliable and careful. We are also interested in a long-term exchange in the winter 2013/14. 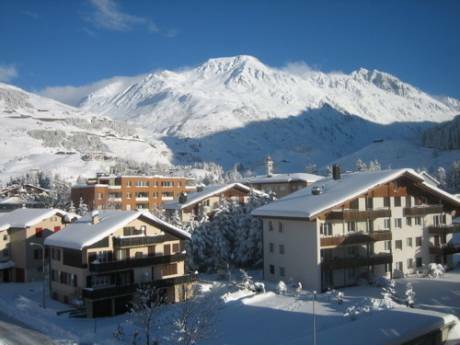 So if you could imaging living in Switzerland for 3 to 6 month, let us know! we prefere oktober till april. Our neighborhood is a mixed area: some one-family-houses and some bigger ones. The supermarket is very close by, as well as the post-office and a drugstore, a short bus-ride brings you to a huge shoppingcenter, a ten-minutes-walk to the forest. The highway is very close, but out of hearing. Central Switzerland is great for hiking and skiing. Within an hour drive, you'll reach several skiing areas and innumerable hiking trails. Zurich, Bern and Basel are just about an hour by train from Lucerne.